Whether you’re in the School of Medicine or Business, graduate school can be an exhilarating experience for individuals looking to further their studies in their field of interest. In fact, one of the most important documents to ensure a successful admission is a statement of purpose graduate school that is written during the application process. 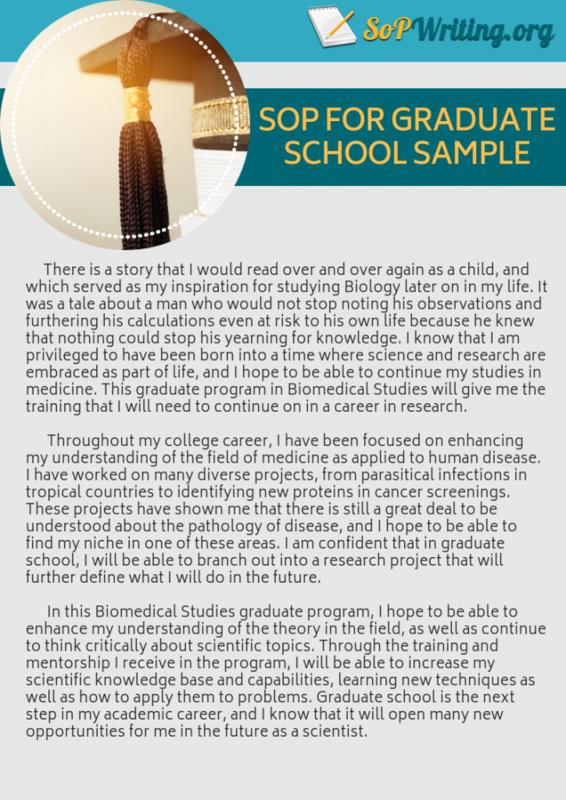 The main purpose of a SoP graduate school is to convince your readers that you indeed deserve a slot into the institution because you have solid achievements that can help in making you successful. You should consider your SoP writing as your main marketing weapon when applying for graduate school and here are steps to accomplish the purpose. Personal information documents. These include documents pertaining to your name, that of your institution, and your residence. Additionally, you need to have an effective outline to arrange these documents so that it can be easier for the recruitment board to assess them. Curriculum Vitae. Your CV is essential in that it shows, in chronological order, all the academic institutions that you enrolled in, the student leadership positions that you held, as well as the number of accolades that you collected while you in school. It is also vital in providing concrete references for the institution that you are applying to confirm the authenticity of your information. Entrance exams. Not sure about how to navigate through the entrance exams of a particular institution? Simply get in touch with our service and we will provide you with the know-how of getting things done. Make an introduction, just as how you do with your essays and other written projects. At a glance, provide the readers with a clear picture of your motivations and interests by telling them what made you interested in the study. You should not use the SoP as a channel for your life story though. Workaround a theme to stay focus. Do not touch on too many topics at once, or else, you will lose the readers’ interest because touching on too many themes in one SoP can make your paper weak. Summarize your previous graduate and undergraduate careers, and talk about the coursework or research you did. Write in the style of your discipline, but don’t cloud up your paper with jargons. You may also include your work experience, especially if it has to do with design, testing or researching in the same field that you want to take up. Connect and discuss your current and recent activities and their relevance to the career in graduate school you plan to pursue. You may talk about your work in a company, things you learned and responsibilities you handled. Discuss your academic interests in the statement of purpose graduate school. You can talk about the fields of interests you have in the graduate school. You can also talk about a theme you would like to address. It can be something from contemporary research. You can also talk about professors and their works or researches that may be aligned with yours. End the personal statement law school in a positive tone, and keep an enthusiastic mood throughout your SoP. You should be expressing your readiness and excitement to take up the study. Follow these tips in writing your SoP graduate school or statement of purpose study abroad and have an impressive output. Spend enough time so that you can have enough of it to review and revise your work when needed. Quality content. Not only will we help you come up with a workable statement of purpose graduate school format, but also ensure that all the written content delivered to you will be of the highest quality. Affordable prices. We offer a pocket-friendly pricing structure while still maintaining a high level of service. Conclusively, get in touch with us if you’d like to have a great SoP written for you. Additionally, we provide a comprehensive graduate school statement of purpose example for the individuals who would prefer to go it alone. Get your perfectly written statement of purpose graduate school from experts!